What’s Up With The Big Corn? Perhaps you’ve been wondering why we have a gigantic wooden ear of corn at the store entry? We call it the Big Corn and it comes out every September during our Eat Local Challenge to help us track the amount of money paid to local farmers and producers throughout the month. Last year, thanks to your purchases of local products, we were able to pay over $371,000 to our local farmers and producers! Help us shatter that record this year by purchasing Vermont products all month long. You can track the progress on the Big Corn and help us reach our goal of $400,000 this year! 1. Local Food Supports Local Farm Families. Farmers are a vanishing breed, and it’s no surprise given that commodity prices are at historic lows, often below the cost of production. The farmer now gets less than 10 cents of the retail food dollar. When you purchase local produce from the Co-op, the farmer gets a larger share, which means farm families can afford to stay on the farm, doing the work they love. 2. Local Food Supports our Local Economy. Over 60,000 Vermonters are directly employed in Vermont’s food system. Nearly 12,000 businesses are part of Vermont’s food system. When measured by employment and gross state product, food manufacturing is the second-largest manufacturing industry in Vermont. Milk from Vermont’s dairy farms typically accounts for upwards of 70% of the state’s agricultural products sales, generating $2.2 billion in economic activity annually. A wide range of nondairy farms of all sizes also produces fruits and vegetables, livestock, hay, maple products, and specialty crops for local and regional markets. Vermont’s dynamic and evolving food system is also made up of entrepreneurs creating a variety of value-added products (e.g., cured meats, baked goods, beer, chocolate); thousands of market outlets; sophisticated distribution networks; and dozens of organizations, programs, and volunteer-driven activities that provide business planning, technical assistance, education, and outreach activities. 3. Local Food Builds Community. When you buy local produce, you are re-establishing a time-honored connection between the eater and the grower. Knowing the farmers gives you insight into the seasons and the miracle of raising food. In many cases, it gives you access to a farm where your children and grandchildren can go to learn about nature and agriculture. Relationships built on understanding and trust can thrive. 4. Local Food Preserves Open Space. As the value of direct-marketed fruits and vegetables increases, selling farmland for development becomes less likely. You have probably enjoyed driving out into the country and appreciated the lush fields of crops, the meadows of wildflowers, the picturesque red barns. That landscape will survive only as long as farms are financially viable. When you buy locally grown food, you’re doing something proactive about preserving the agrarian landscape. 5. Local Food Keeps Your Taxes In Check. raised by farm, forest, or open space, governments spend only 34 cents on services. 6. Local Food Supports a Clean Environment and Benefits Wildlife. A well-managed family farm is a place where the resources of fertile soil and clean water are valued. Good stewards of the land grow cover crops to prevent erosion and replace nutrients used by their crops. Cover crops also capture carbon emissions and help combat global warming. According to some estimates, farmers who practice conservation tillage could sequester 12-14% of the carbon emitted by vehicles and industry. In addition, the habitat of a farm – the patchwork of fields, meadows, woods, ponds, and buildings – is the perfect environment for many beloved species of wildlife, including bluebirds, killdeer, herons, bats, and rabbits. 7. Local Food Preserves Genetic Diversity. In the modern industrial agricultural system, varieties are chosen for their ability to ripen simultaneously and withstand harvesting equipment; for a tough skin that can survive packing and shipping; and for an ability to have a long shelf life in the store. Only a handful of hybrid varieties of each fruit and vegetable meet those rigorous demands, so there is little genetic diversity in the plants grown. Local farms, in contrast, tend to opt for more variety to provide a long season of harvest, an array of eye-catching colors, and the best flavors. Many varieties are heirlooms, passed down from generation to generation because they taste good and are regionally adapted to our unique growing conditions here in Vermont. These heirloom varieties contain genetic material from hundreds or even thousands of years of human selection; they may someday provide the genes needed to create varieties that will thrive in a changing climate. 8. Locally grown food tastes better. California, Florida, Chile, or Holland is, quite understandably, much older. Several studies have shown that the average distance food travels from farm to plate is 1,500 miles. In a week-long (or more) delay from harvest to dinner table, sugars turn to starches, plant cells shrink, and produce loses its vitality. 9. Local Produce is Better For You. Studies show that fresh produce loses nutrients quickly. Food that is frozen or canned soon after harvest is actually more nutritious than some ‘fresh’ produce that has been on the truck or supermarket shelf for a week. Locally grown food, purchased soon after harvest, retains its nutrients. By supporting local farmers today, you can help ensure that there will be farms in your community tomorrow and that future generations will have access to nourishing, flavorful, and abundant food. “Food is important. 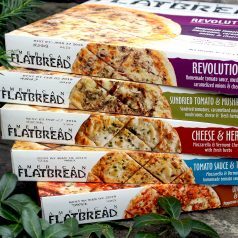 What we eat and how it’s grown intimately affects our health and the well-being of the world.” He created American Flatbread based on the philosophy of food for the greater good, and the company remains committed to building upon that legacy. American Flatbread was born in Waitsfield, Vermont, but demand for frozen flatbreads soon outgrew the humble kitchens of their flagship location. Rustic Crust, the company that now produces American Flatbread frozen pizzas, took over the reins and says that they’re proud that George entrusted them with his mission and they remain committed to upholding it. Headquartered in New Hampshire, Rustic Crust continues to work with fresh, all natural ingredients to bring you the authentic flavor you’ve come to know and love. According to Rustic Crust CEO Brad Sterl, “Our two good-for-you pizza brands make their home in the beautiful New England countryside, and are made by real people and using real ingredients. American Flatbread frozen pizzas feature 100% organically grown wheat crusts and topped with fresh herbs, vegetables and the finest of cheeses (no rBST growth hormone!). They’re all-natural, with no preservatives, artificial colors or flavors, and handcrafted from scratch and par-baked in wood-fired ovens. Truly nutritious, light, crisp, and flavorful — convenience without compromise – American Flatbread pizzas are honestly delicious, the best premium frozen pizza bar none, for people who care about pizza and the planet. People shop at the food co-op for all sorts of reasons – for bulk teas and spices, or the freshest possible ingredients for a special dinner, or maybe to support local farmers and food businesses, or to find a wide assortment of organic food to avoid feeding your family pesticide residues with their meals. Many of us shopping at the co-op are aware that our US food system has some deep problems, and we want to be part of a solution. We read about farmworkers dying from heat exhaustion in California, after making a long and dangerous trek to reach a job in the United States. We read about food deserts and gross disparities in health outcomes for populations in areas without good access to healthy food. We read about the growing dangers of antibiotic resistance to serious diseases — a problem that the World Health Organization tells us is comparable to climate change in its impacts on human health and caused in large part by feeding antibiotics to livestock to make them grow faster. These are all side-effects of ‘business as usual’ in our food system and a result of buying food at the cheapest possible price from all over the world regardless of how it was grown and by whom. Participating in a member-owned food business that operates on cooperative principles is an important alternative to ‘business as usual’. 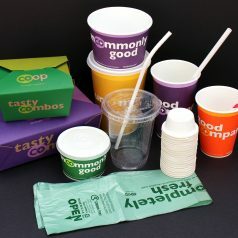 The co-op’s structure allows member-owners to have a say in what we buy and how the profits are distributed. 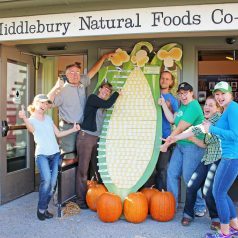 Middlebury Natural Foods Co-op has been a great community partner by sponsoring or contributing to food access programs and events to raise awareness of healthier eating. But are we really addressing inequity? And why is that important? Inequity, in contrast to inequality, is systematic exclusion from opportunities that would allow equitable outcomes. 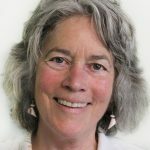 The US food system is founded upon and continues to be supported by exploitation – of the natural environment and people with little political power. Our country was stolen from Native Americans, leaving a shameful legacy of broken treaties and people living on reservations with the highest prevalence of diabetes in the country. Much of US wealth was built on the labor of cruelly enslaved peoples, Native American and African, who even now have not been able to access a fair share of that wealth. 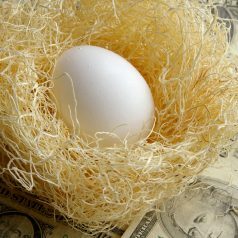 Wealth is rapidly trickling up — or more accurately, flooding up — to the wealthiest people, with only three people in the US now controlling more wealth than the bottom 50%, according to Forbes Magazine. Through our foreign policies and trade agreements, we continue to exploit people and resources in other countries so that US citizens can enjoy exotic foods and items we consider staples year-round, although we can’t produce them on US land (coffee, tea, and spices, to say nothing about our insatiable demand for petroleum). Through our ‘cheap food’ policy, designed to prevent urban populations from revolting, we continue to exploit farmers and indirectly farmworkers who make wages far below the poverty threshold. 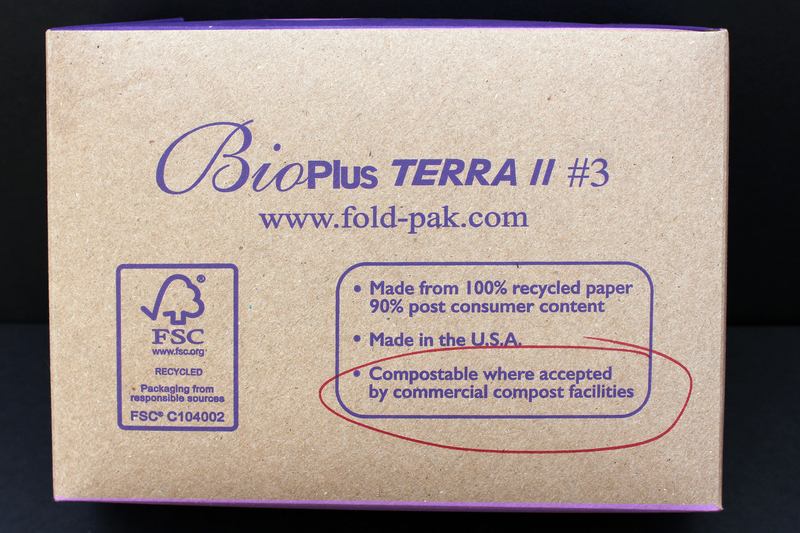 A common reaction among relatively well-educated people in the US is to buy food certified to be organic, eco-labeled in some other way (e.g., Marine Stewardship Council seafood) Fair Trade (international or domestic) or humanely raised. But we can’t buy our way to equity; and as long as racial and financial inequity persists in the food system, we are feeding ourselves on stolen labor and resources. So how can we work toward greater food system equity? This merits a larger community conversation, and conversations about climate justice and farming issues in Addison County are a good start. 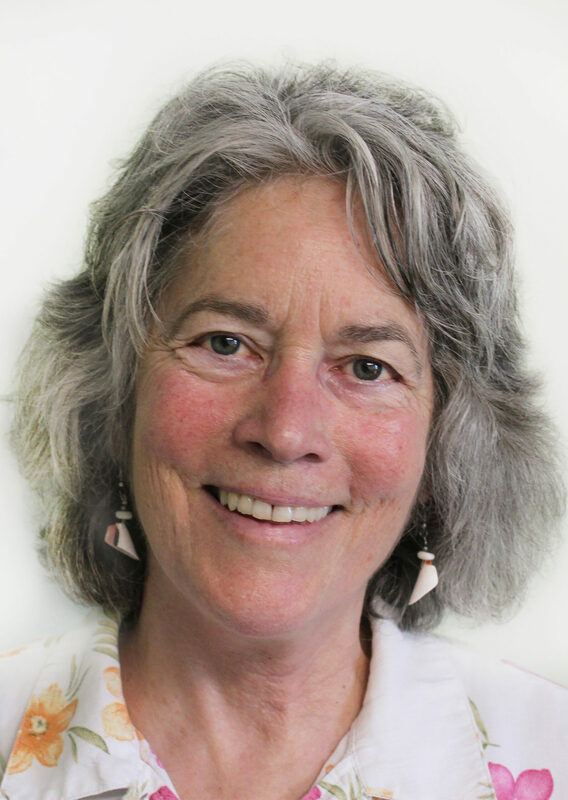 Equity will require enabling real participation of everyone in making and implementing decisions about our food, and seizing control away from wealth-mongers, Big Food and Big Ag—agribusinesses that are far more concerned about a steady flow of profits than a steady increase in public health and ecological integrity. It will mean each of us developing more awareness of the ways that our own well-being comes at the expense of other people’s quality of life. It will mean not only buying good food, in a place like the coop where our purchases benefit our community, but participating in political forums to get money out of politics at every level and to fight for policies that provide the privileges of health and political voice enjoyed by the well-to-do to the least advantaged in our society. We’re shining our Member Deals Spotlight on Field Day this week! Member-owners can enjoy 20% off all Field Day products from August 23rd – 29th. You may recognize these products as part of our Co-op Basics lineup, so you’ll be thrilled to hear that the discounts run even deeper this week! Read on to learn more about this company with a goal to fill consumers’ homes with a wide selection of value-priced items that they can use and feel good about every day. 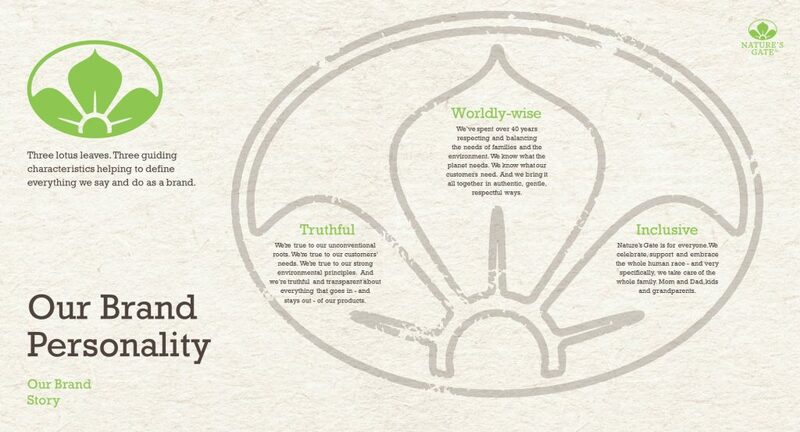 Field Day believes in understanding where our food comes from. At every step of the way, they ensure that their products meet the highest quality standards. All of their ingredients and products undergo third-party certifications such as USDA Organic, Non-GMO Project, Whole Grains Council, Gluten Free and Fair Trade. You will never find preservatives, artificial colors or artificial flavors in any of their products. 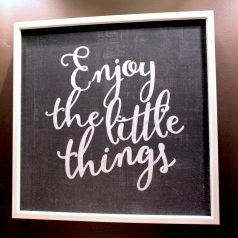 What you will find is delicious, good-for-you and genuinely simple products. Real flavor: Producing genuinely simple products that are not only good-for-you but taste good. Real people: Field Day works as a team, from their valued employees to their inspiring retailers to their treasured consumers, every step of the way. 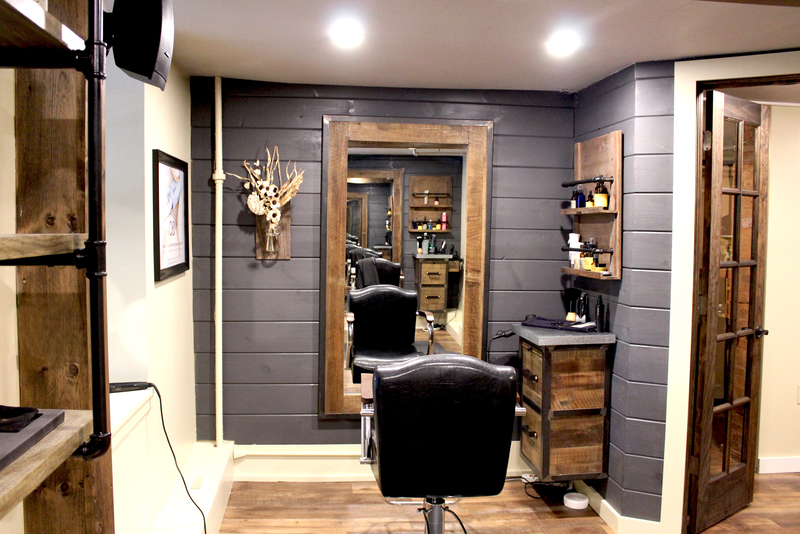 Their goal is to fill your home with a wide selection of value-priced items that you can use and feel good about every day. Their harvest of Non-GMO, organic, and quality products are delicious and genuinely simple. They take a less-is-more approach with ingredients and packaging. No confusion, just what you need. That’s Field Day. To sell only the highest quality of products. Field Day ensures that offerings adhere to the most rigorous of standards through third-party certifications. To provide great taste. What they leave out in artificial flavors, colors, and unnecessary preservatives, they make up for in pure deliciousness. To remain value priced. With the cost of living and organic food on the rise, Field Day believes that healthy eating should be an achievable lifestyle for every family. To have you and your family’s best interest in mind. From the growth of an idea to the moment it hits your dinner table, Field Day acknowledges what their products mean to your family. What does it mean? This means knowing exactly where our food comes from, how it was made, and that it meets the highest quality standards along the way. Bearing the USDA Organic seal ensures that products are grown and processed according to federal guidelines addressing soil qualities, animal raising practices, the use of additives and more. How does it affect your family? Organic foods are cleaner for your family and the environment because they do not allow toxic persistent pesticides, GMOs and antibiotics and growth hormones. They prohibit the use of artificial colors, flavors and preservatives. What are is Field Day doing about it? Whenever possible they source organic ingredients to produce USDA Certified products that you can use and feel good about every day. How does it affect your family? Many of the foods that are popular among families and children contain GMOs. In North America, over 80% of our food contains GMOs, meaning that these unwelcome additions are likely present at breakfast, lunch and dinner. Their use and consumption could lead to harmful effects on both the environment and human health. What is Field Day doing about it? 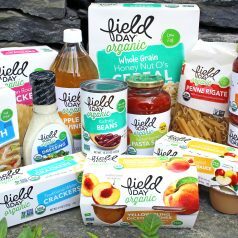 All of Field Day’s products are currently verified by or enrolled in the Non-GMO Project, a third-party organization that tests and certifies a product does not contain GMOs. The seal indicates that any at-risk ingredients are continually monitored and tested through a rigorous verification process. Field Day works to source organic products, support sustainable farming practices, and give you the right to make an informed choice. Therefore, by choosing Field Day, you are committing to live Non-GMO. What does it mean? 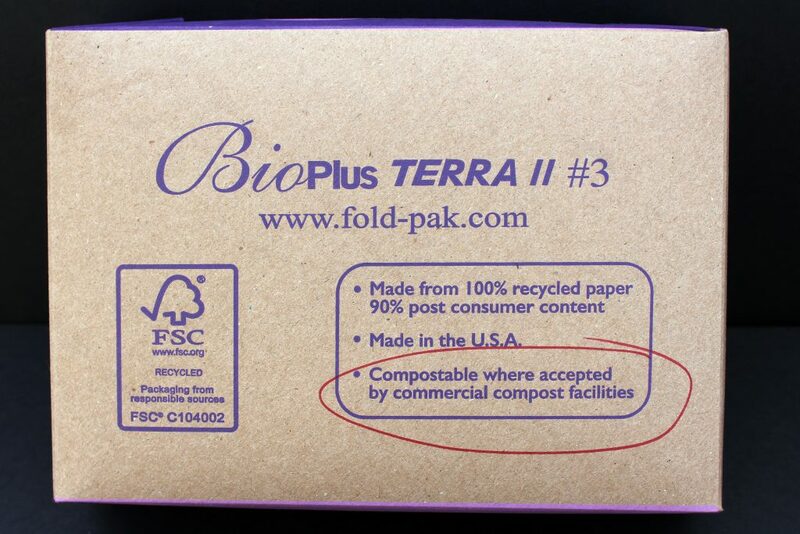 The majority of Field Day’s products are produced in the USA with some containing domestic and imported ingredients. How does it affect your family? By taking pride in our country and the work that our farmers put in every day, sourcing Made in the USA and local growers we work in supporting your communities and bringing the fruits of their labor directly to you! 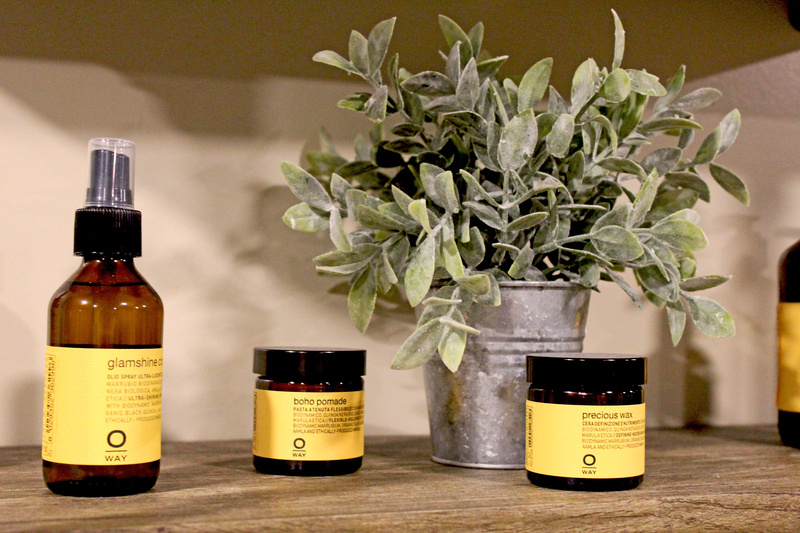 In 1972, two brothers in Venice Beach with a humble beachside herb garden and a kitchen had an idea to create a shampoo using the bounty of the earth as a natural source of beauty. Leo had a head for business and Vlad was trained as a physicist, so the pair blended herbs and other natural ingredients to create a naturally energizing herbal shampoo that respected the natural balance of the earth as well as the body. And thus, Nature’s Gate was born. Balanced beauty, inside in out. It’s Nature’s way. They believe that true beauty can only be achieved through balance. Healthy mind, healthy body. Beautiful thoughts, beautiful deeds. Respect for yourself and respect for the planet. Time for you, time for the family. That, to the folks at Nature’s Gate, is the essence of real beauty. That’s what they pour into every Nature’s Gate bottle. And because they believe balance and harmony are essentials rather than luxuries, they don’t come at a high price. 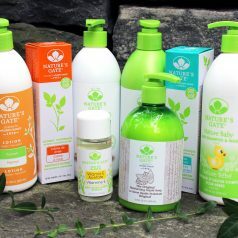 Nature’s Gate is about affordably using what Mother Earth gave us to bring out the natural beauty in every member of your family every day of the week. 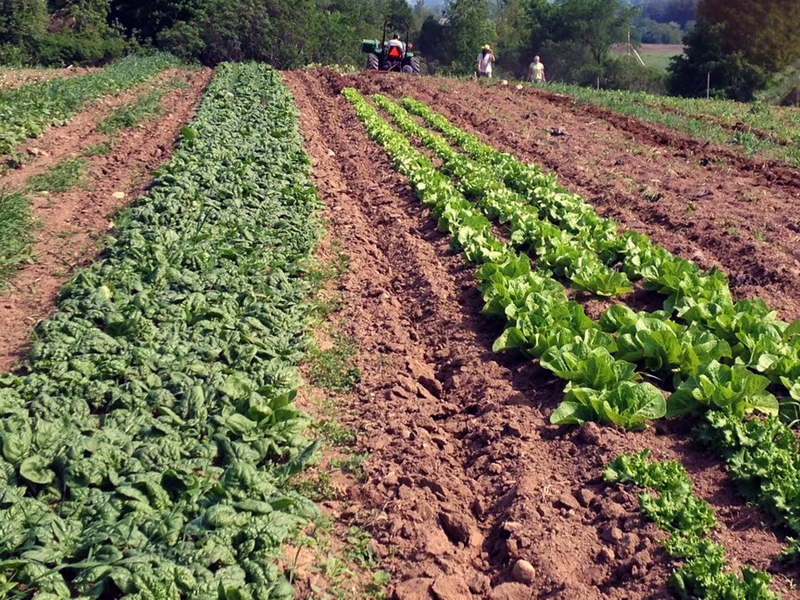 Nestled in the rolling hills near the Bristol-Monkton town line is a sweet little farm called New Leaf Organics. Now in her 18th year in business, Farmer Jill Koppel leads her rockstar all-female crew to produce some of the most beautiful and delicious flowers, fruits, and veggies you’ll find anywhere in Vermont. Their farm has evolved quite a bit over the years, but their core mission remains the same; growing high-quality organic produce, flowers, and plants that improve soil health and strengthen the community. to grow high quality, deliciously fresh organic produce and flowers. to maintain and build the health of our soil and water. to keep this land open and in agricultural production. 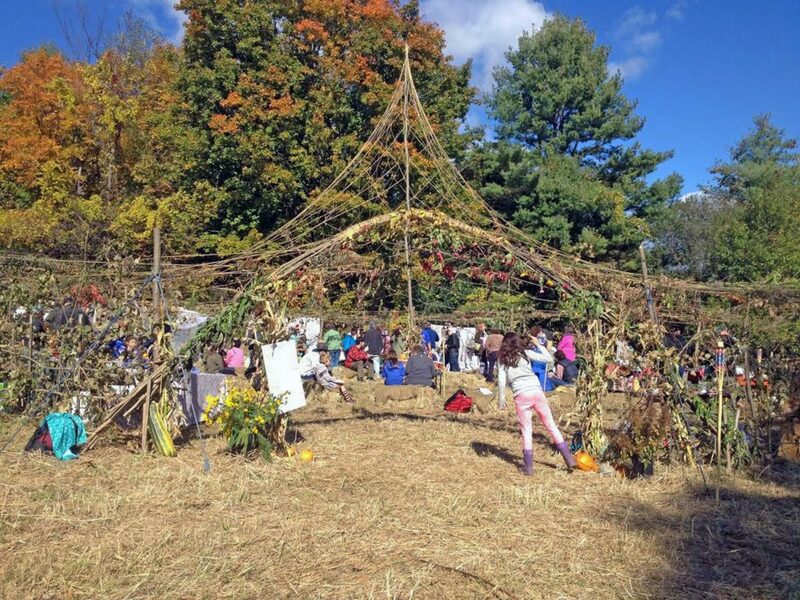 to bring community together in appreciation of good food and eating with the seasons. to be a healthy and joyous place for kids to roam and discover and help them learn where our food really comes from. 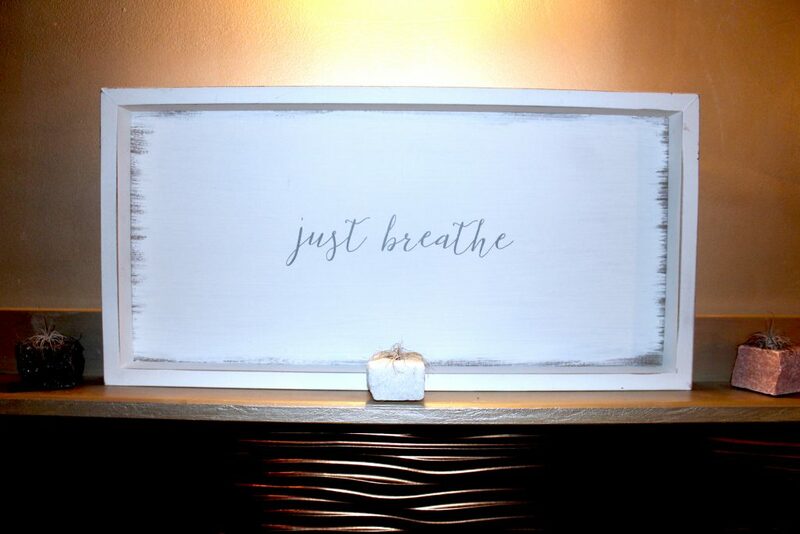 to provide a positive and meaningful place to work for our employees and ourselves. They grow 3 acres of vegetables and 1.5 acres of flowers which are all sold in Vermont. You can find them at farmers markets in Waitsfield and Winooski and they deliver to various area stores and restaurants. You can also sign up for their fruit & veggie CSA and/or their flower CSA. 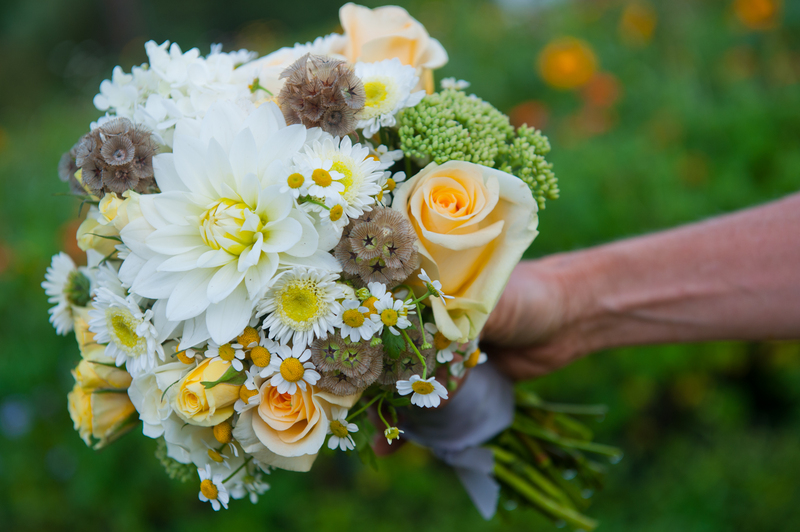 Looking to send a local, organic bouquet to someone special? New Leaf Organics offers Home Sweet Blooms floral deliveries to homes and businesses in Hinesburg, Vergennes, Middlebury, & Bristol! Need flowers for an upcoming wedding or event? New Leaf Organics raises over 100 varieties of organic, specialty cut flowers and creates exquisite floral arrangements for weddings and events, from casual to formal. Their services, from full-service arrangements and delivery, to “pick-your-own,” to “weddings-in-a-bucket” are a great fit for all your events. Buying direct from the grower ensures the freshest, highest quality flowers at the best price. Buying organic ensures that agricultural chemicals aren’t endangering our environment or the farmworkers who handle the flowers. Click here to read more about why this matters. 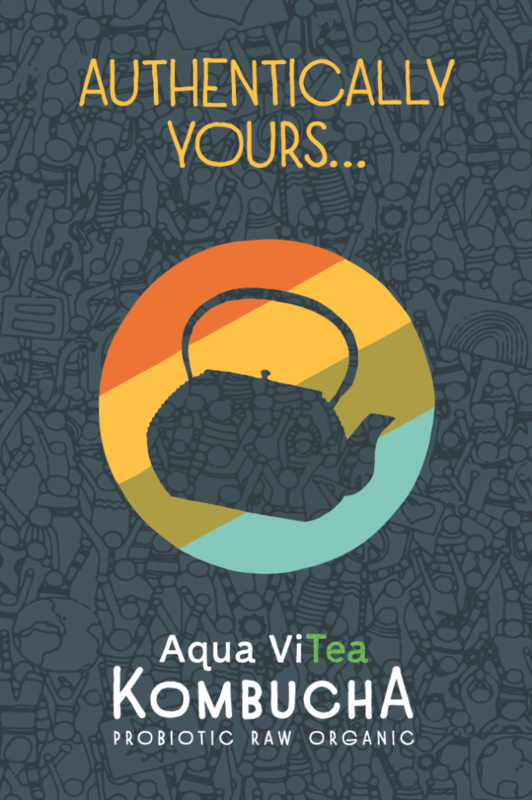 Our Member Deals Spotlight shines brightly this week on Aqua ViTea! 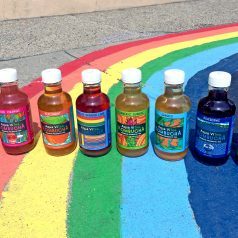 Their full line of local Kombucha is 20% off for member-owners from August 2nd – 8th. Read on to learn more about this unique local business with humble beginnings on a Salisbury Farm! In 2005, founder Jeff Weaber and his wife Katina Martin moved to Salisbury, Vermont from Portland, Oregon. Portland had been their home for nine years as Katina pursued medical degrees in Naturopathy, Midwifery, and Acupuncture. During those years, Jeff became a brewer for The Lucky Labrador Brewing Co. and was in the unique position of honing the craft of brewing and fermentation at work, while learning about functional foods and the governing role of the digestive system from Katina at home. While reading Sally Fallon’s Nourishing Traditions and diving into the research of the Weston A. Price foundation, Weaber was introduced to Kombucha. He began experimenting with home-brewed Kombucha and shared the surplus with friends. Weaber found himself amazed by its popularity with both the naturopathic and beer-drinking crowds. “I realized right away that I had found a way to do what I loved and sustain a healthy lifestyle,” says Weaber. The more I learned about the benefits of Kombucha, the more passionate I became about making it available to my community. 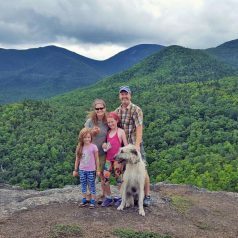 His commercial brewing operation began in the cellar of his Salisbury farm and by 2007, Weaber was selling his Kombucha to the happy crowds at the Middlebury Farmers Market under the Aqua ViTea brand. 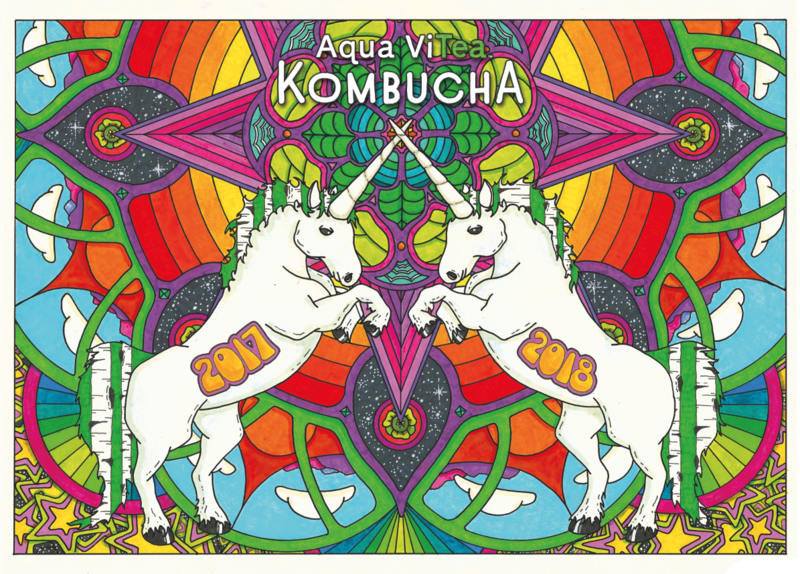 By 2008 he was bottling his product and selling wholesale to our Co-op and a handful of other local markets and, in 2009, our Co-op was proud to be the first co-op in the country to offer Kombucha on tap! Our fountains have been flowing ever since! 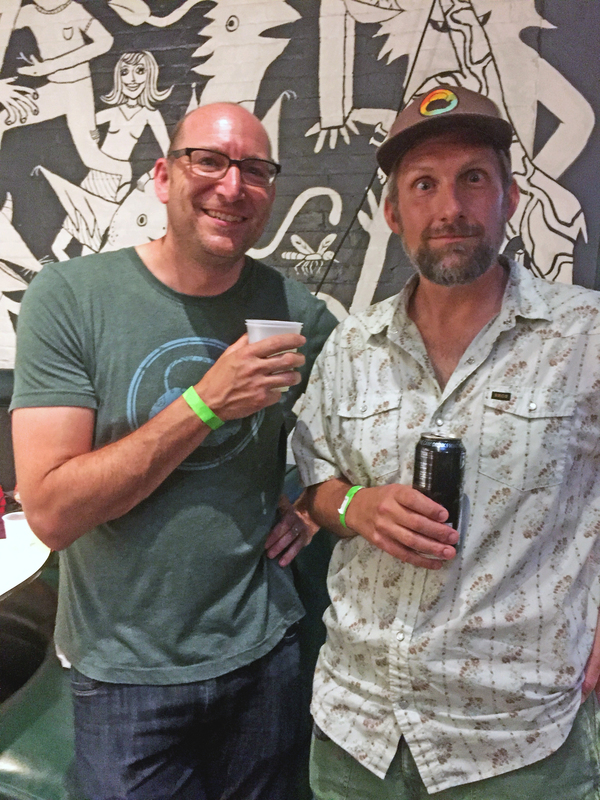 As the business grew, Weaber called on Mike Kin, who was a close friend of Weaber’s in Oregon, and convinced him to move to Vermont with his family to become the company’s brewer. And if you dig the artwork on Aqua ViTea’s packaging and materials as much as we do, you’ve got Mike to thank for these. He sketches each one by hand! By 2014, demand began to outpace production capacity and plans to move Aqua ViTea’s production off the farm began to ferment. They first moved to a state-of-the-art facility in Bristol, VT, followed by yet another upgrade in 2017 to an even more impressive facility -the former home of Woodchuck Cider on Exchange Street in Middlebury. They now produce about 30,000 gallons a month and their line of bottled and draft kombuchas is distributed in 25 states! Our mission since the beginning has been to sustain and cultivate the core foundation of healthy, sustainable communities through a series of interrelated actions and principles. We evaluate the environmental impact of our business decisions to remain mindful of how they will affect all aspects of living and life. We seek to source the finest quality ingredients and work with regional providers whenever feasible. We work to create opportunities not only for our team, but for you, that will make a positive difference in our and your food consumption, lifestyle choices, and career paths. We recognize and remind ourselves and you to acknowledge the responsibility to contribute and give back to the community. Controversy has been brewing in the Kombucha community surrounding the fact that many commercially available Kombucha brands have been found to contain significantly more sugar and more alcohol than their labels disclose. Additionally, some large-scale Kombucha products are being manufactured in a lab setting, force carbonated, and even pasteurized, with the probiotic cultures added artificially as “ingredients” to the end product. Aqua ViTea, since day one, has shown a deep commitment to authenticity. This begins by sourcing the highest quality ingredients, including sustainably-sourced organic tea from Middlebury’s Stone Leaf Teahouse and organic cane sugar to feed the ferment. Their Kombucha is the product of a live, active fermentation, which allows the live cultures and enzymes to develop naturally and delivers the tangy effervescence that Kombucha drinkers love. Additionally, they are one of only two Kombucha makers in the U.S. to invest in a spinning cone column – a machine typically used in wine-making – which allows for the extraction and recovery of volatile compounds, including alcohol, without the need for excessive heat. And since the alcohol is removed at the end of fermentation, the active cultures can grow at their own pace, which results in authentic, delicious and non-alcoholic Kombucha. They even employ an in-house microbiologist to analyze the safety and purity of their products! 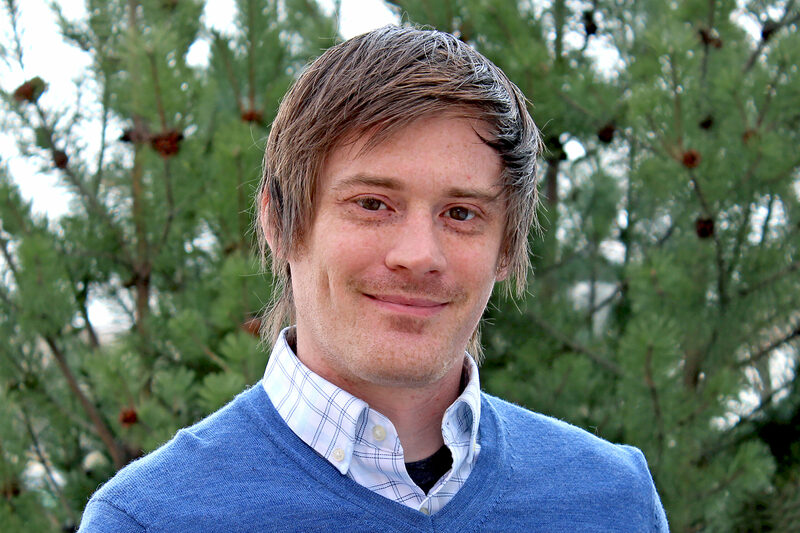 Dr. Bill Yawney oversees their food safety standards and works in their state-of-the-art in-house lab to create standards for testing alcohol levels in Kombucha produced by Aqua ViTea and by other Kombucha producers. You can read more about that here. 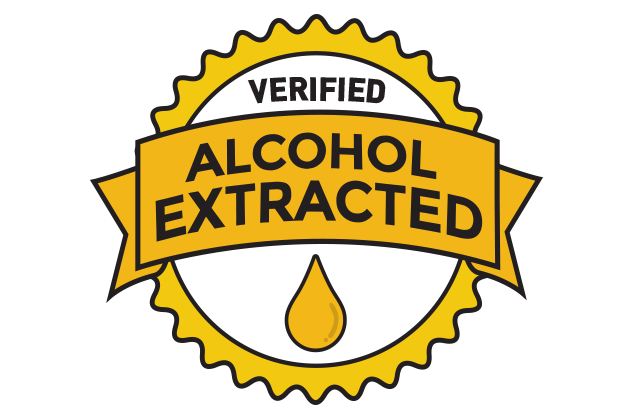 You’ll notice that Aqua ViTea Kombucha now bears theAlcohol Extracted Verified Seal, so you know what you’re getting (and not getting) when you drink their Kombucha. Wonder where that alcohol is going after it’s extracted from Aqua ViTea Kombucha? They send it right down the road to their friends at Appalachian Gap Distillery, where it is turned into a distinct and flavorful vodka known as Aqua Vodka. It’s the perfect blend of ancient tradition and modern technology! Click here to read all about it.